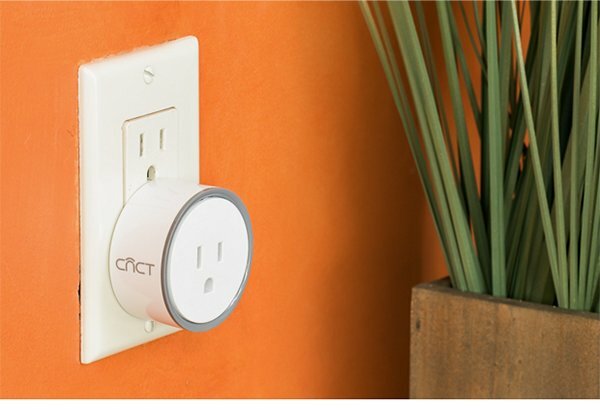 It’s never been easier (or cheaper) to join the Smart Home revolution, thanks to cnct‘s cute and powerful new intelliPLUG smart plug. Today, the company launched a crowdfunding campaign on Indiegogo to bring their Wi-Fi-enabled smart plug to consumers everywhere at the ridiculously low cost of just $10 a plug (plus shipping). The intelliPLUG allows users to control their lights, appliances and any “plugged-in” device directly from their phone or tablet, anywhere in the world. intelliPLUG features full iOS, Android and Amazon Alexa functionality so users can turn on/off plugs, set timers for devices and schedule plugs to turn on/off automatically. I’ve had my hands on a review unit for about a week now and this thing is fantastic. I’ve used other smart plugs in the past and the simplicity of intelliPLUGsetup, its small, attractive form factor and absolutely crazy $10 price tag during this campaign make it a no-brainer to back. You can check out more info on the intelliPLUG on the official Indiegogo campaign page and take advantage of some of the Early Bird Specials where you can get a 2-pack of intelliPLUGs for just $20 (plus shipping). I have no doubt these Early Birds will go fast and the campaign will easily exceed its $25,000 funding goal. UPDATE: It looks like those Early Birds did go fast, however still a number of multi-unit bundles are still available to get the intelliPLUG for $10 each.